A film by Itay Marom 2014 / 30 min. / Hebrew and Portugese / Eng. Sub. 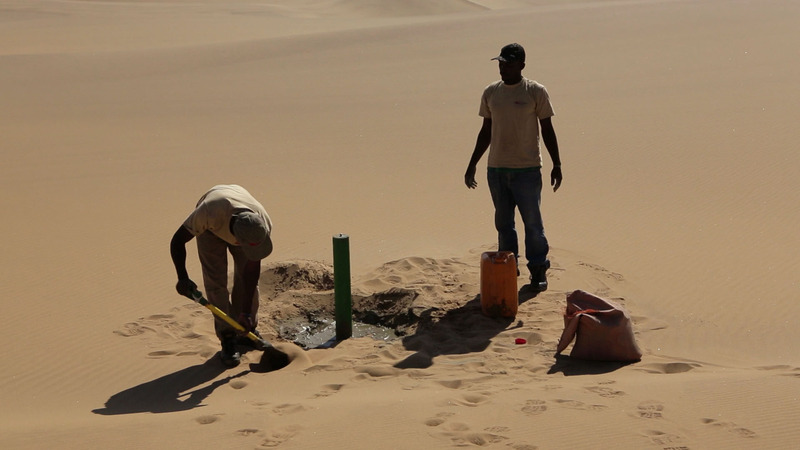 The film The Surveying follows a group of surveyors in the Namibe Desert in southern Angola. 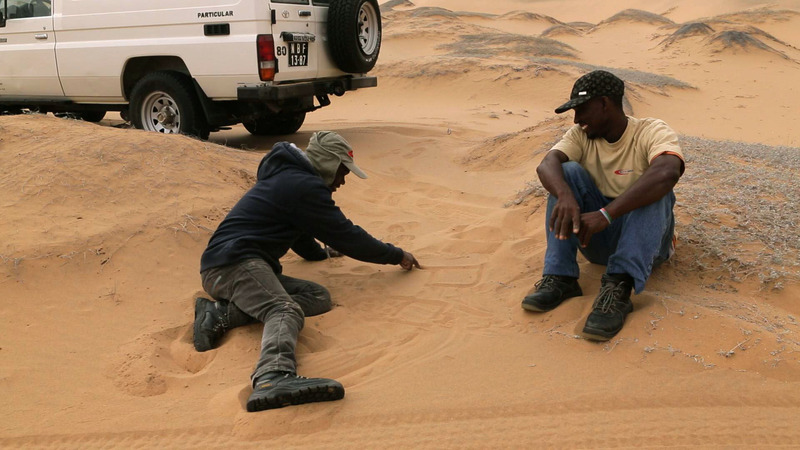 They work for the Angolan oil company, trying to locate a spot for oil drilling in the desert. The surveyors move through an endless wasteland, without paths or roads. Their work mainly consists of marking and fencing off the wilderness to help those who will come after them orient themselves in the space. It’s a grueling and repetitive task. 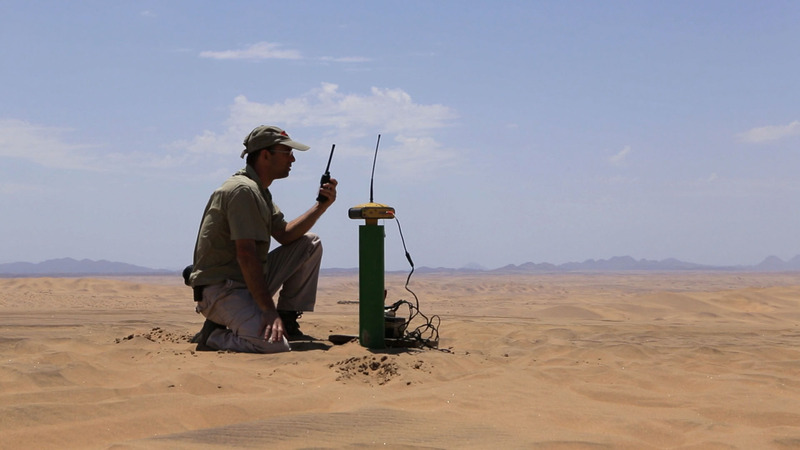 They form preliminary pinpoints on the ground, plant concrete pillars in the earth, and measure them in order to determine and declare their location. Through the surveyors’ work, the film depicts man’s constant need to reaffirm his own position in relation to the world. The endless measuring of our location in relation to other objects around us reflects the need to operate within our space and eventually control it.